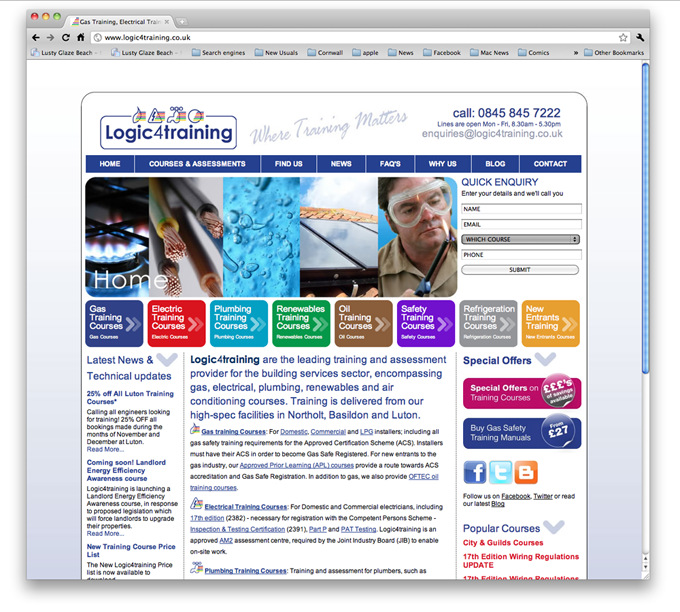 Initially working with collaborative partner PRG PR and Marketing Communications, Logic4Training required a complete rethink on how it would deliver its courses in the building services sector to its users. The site was redesigned by PRG and included a Content Management System (CMS) added to key sections of the site that required regular updates. Once launched, the site has increased its activity online using both Search Engine Optimisation, Pay Per Click Marketing and Online PR to drive qualified traffic to its pages and has seen online enquiries grow month on month. The site is now well established within online searches and achieves page one result for various important relevant terms such as “Gas Training”, “CCN1 Courses”, “Photovoltaic Courses” etc.